It was love at first sight but the $399 price tag made me cringe a little. That's not bad for a hand tufted 7' 6" x 9' 6" rug but it was more than I was planning on spending and I didn't really need another rug. 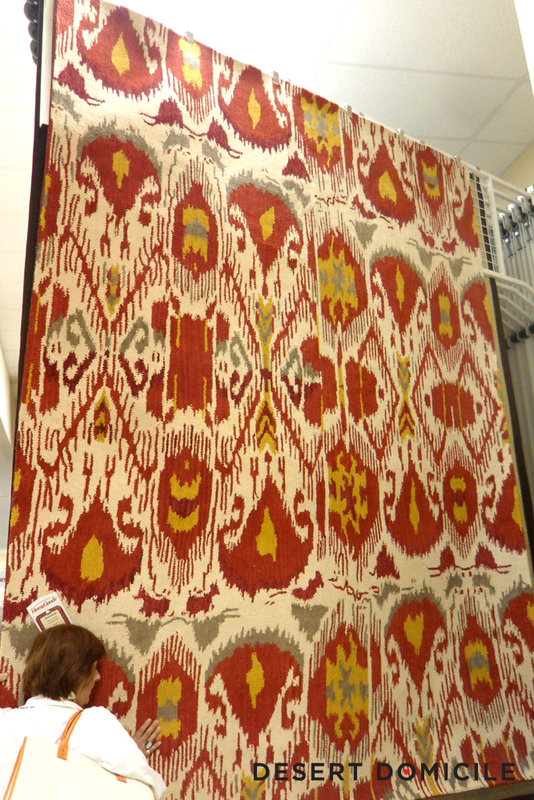 I couldn't see the manufacturer's name or a style number to look up on my phone so I did a quick search for "red ikat rug" hoping that'd pull up some results I could work off of but it didn't so I took some more pictures of the rug and left the store empty handed. I had some more running around to do but I couldn't get the rug out of my head so as soon as I got home, I dug into my ikat rug search some more. 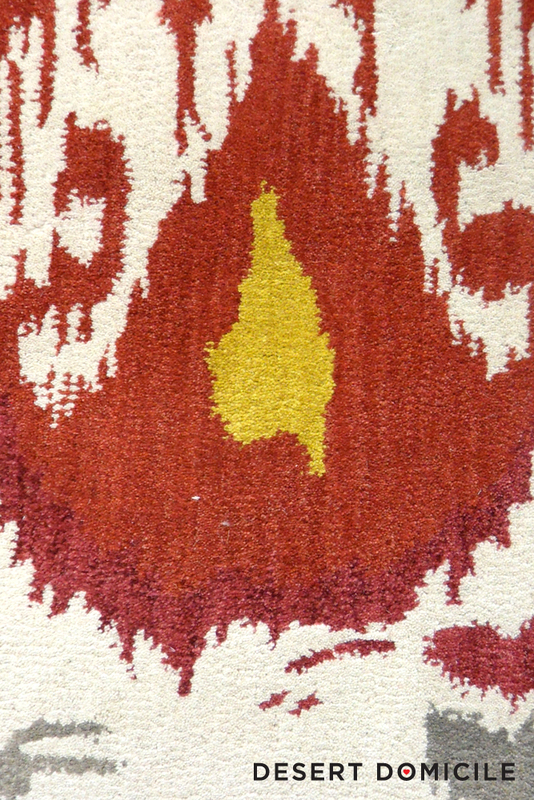 I found out that the rug is made by Safavieh and it's part of their Ikat collection designed by David Easton. 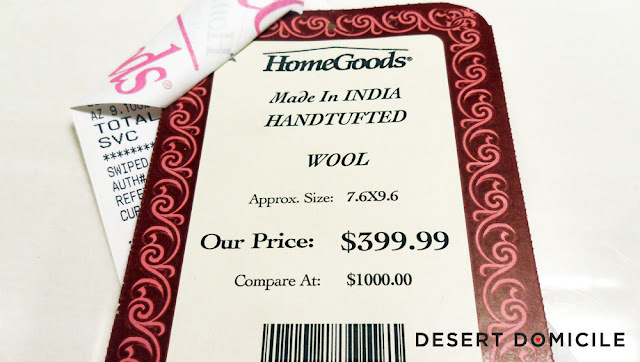 I started searching for a price to see if I could find it cheaper anywhere else but I wasn't having any luck. What do you think? Did I get the deal of the year or what?! Ah-mazing score! Holy smokes, regular $2,000?! Don't you just love Home Goods? I just bought a brown and bright yellow ikat rug from HomeGoods - got it for a cool $249! I love it!